Going back to Oya Clinic and I am up to try their facial treatment! So, if you have read my OYA Face Contour review, you might know this machine. Yup, this is the same machine and I just know that this machine has two functions hohoho. On today’s post, I am going to share about their Perfection Facial Treatment. This was offered by Joe (thank you!) as this treatment can whiten and reduce blemishes. As usual, the machine is synchronised with our body frequency. CMIIW. I do recommend not to try this treatment if you have active acne. 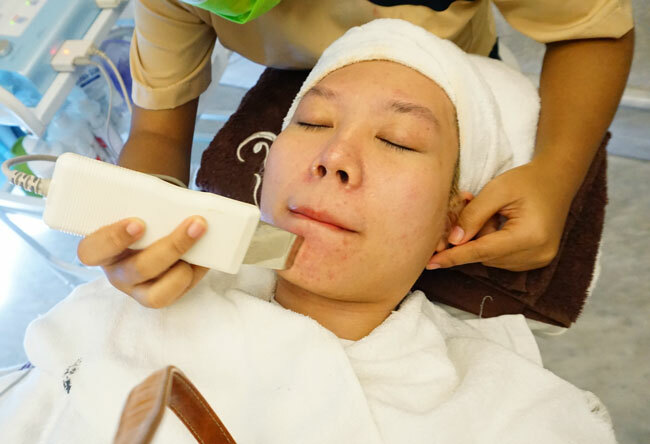 I know it’s quite contradictive with the purpose of this treatment (blemish reduction) but…I find that your acne condition shouldn’t be too severe. I’ll explain it in a bit. 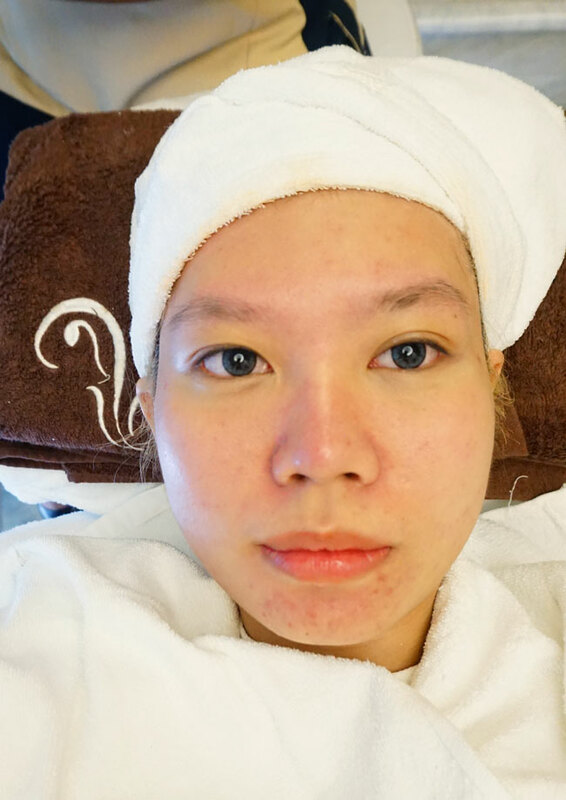 First, my face is getting cleaned and the beautician applied the special cream for this treatment. As the cream being applied, I felt the skin that has lots of breakouts (chin area) is tingling. Then the treatment started. It basically, just using this flat thin spatula (which gently vibrates) to exfoliate our dead skin. Then, she applied the mask. The mask is used to soothing my skin. And this photo is taken just right after the treatment. What I noticed from the before-after is my face looks fresher. 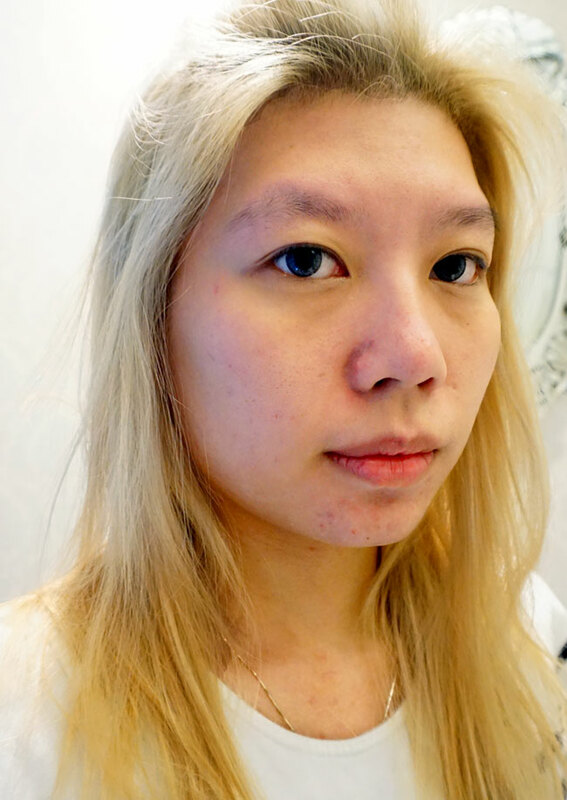 You can tell my skin before the treatment is quite dull. This treatment will work wonder if you do it regularly. Oya Clinic recommends this treatment at least twice a month if you want to experience the maximum result of this treatment. Suitable for sensitive skin ( I am #teamsensitiveskin too!) and no side effect as this is a facial treatment.